Paul McCartney- Enjoy a pre-concert dinner in the Loge Club! Start off a memorable evening at Pepsi Live at Rogers Arena by securing a dinner reservation in the Loge Club! You’ll beat the rush to get to the show on what is sure to be a high demand evening at local restaurants. Reservations are available beginning at 6:00PM with service ending at 7:45PM. All guests will then be directed to their seats to enjoy the 8:00PM start. Diners are required by the artist to leave at this time as there will be no viewing or service available from the Loge Club. The dinner price is $100 per person + service charge and applicable taxes. Alcoholic beverages are not included. Reservations are being accepted for parties of 4 to 6 guests only and are very limited so reserve now to avoid disappointment. Bookings require full pre-payment to be confirmed. Please note that all dinner guests are required to have a valid concert ticket to gain admittance. 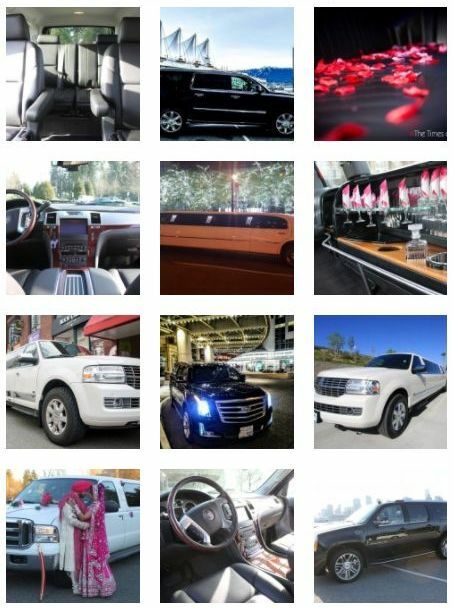 Please contact Caitlin Metcalf at 604.899.7450 today. We look forward to hearing from you! 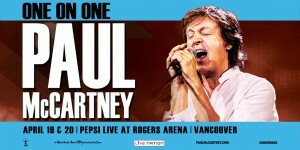 Paul McCartney has confirmed two Vancouver dates of his brand new One On One tour. More North American dates to be announced soon. On April 19 and 20, Paul will roll into the Rogers Arena in Vancouver BC for two nights, returning to Vancouver for the first time since the magical evening at the BC Place Stadium during the final week of his On The Run tour in 2012.